Analyse and mitigate complex problems/issues arising as a result of test failures, identify bottlenecks, work with development to resolve issues. Determines how to meet growing capacity requirements while ensuring reliability within the platform. Company Name : Vignet IT Solutions Pvt. Ltd.
Review of requirements, specifications, user documentation, help files, and other project documentation to assure quality of the products and tests to be developed. Identify required improvements in the automation processes; make contributions to our automation tools that address specific needs. Estimate test efforts, analyze and communicate test results to respective stakeholders and participate in day to day automation activities. Good knowledge of object oriented programming, along with requisite coding and debugging skills. Good understanding of QA methodology, automation expertise and ability to code. 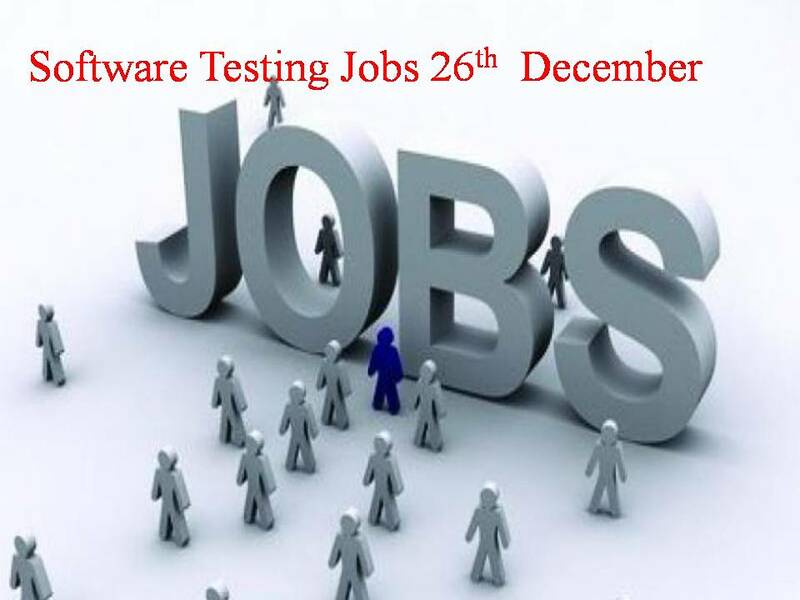 Openings For Selenium Testing @ Banglore. We are looking for a Senior level QE who can be part of a team and be instrumental in automation efforts. Candidate should sound very good in automation techniques and technologies. Should be able to Communicate very well and a very good team player. Should have minimum 2 years experience in testing. Experience in Automation and Manual testing. Also should have experience in Selenium Webdriver ,SQL and Test NG. Min 6 months Automation experience required. Experience in Selenium web driver using Java. Implement test automation where applicable. Develop test schedules and ensure follow-through so that deadlines for testing completion are met. Developing automation frameworks, comprehensive automation test suites at both the UI and Service layer, with proven abilities to innovate and be creative. Good to have basic knowledge on any Programming language. Good to have exposure on Manual Testing. Sound knowledge of Defect Management Cycle and logging defects. We are currently hiring for Manual Testing/Automation testing for PUNE Location. we are doing a scheduled weekend drive on 5th jan (Saturday).